As traders, we are forced to rely upon Forex brokers to be able to trade. Without them we would have no way of placing orders and no way of earning money. The trouble is that there are some bad brokers out there in the world, and likely there are more bad brokers than there are good forex brokers. You need to carefully evaluate and sort through several different brokers to find the right one sometimes. The Forex market is a decentralized area where no actual marketplace exists for the trader and where there are no “standards” in the exchange rate. Brokers offer various deals to their traders and while the investment is your decision, you must rely on your broker to make the transactions for the trade. This article helps you to distinguish swindling brokers from honest ones. Not all major commercial banks have the same quoted price. Brokerage firms take all these price feeds from major commercial banks and publish the approximate average of the exchange rates into the broker platforms. These online brokerage firms opened doors to the retail market. Forex brokers act as mediator between the interbank market and the retail market, in return for a commission. Trading directly with the exchange market and avoiding the intervention of the Forex broker in the trading process is nearly impossible for individual retail traders since it requires a large amount of capital. It’s the broker who is effectively transacting the trade made by smaller speculators and investors such as hedge funds, corporations, and retail traders. However, not all brokers are conducting the same business equally. It all depends on the business model the broker uses. Some brokers put orders directly into the market exchange, while others take the other side of the trade and ‘trade against their clients’ assuming they will lose most of the time. Some brokers offer both options to traders, and it’s the trader’s choice as to which suits his or her preference better. Actually, few smaller less known Forex brokers contacted me this year and were highly interested to reverse trades using my MT4 trade copier/duplicator/replicator app. Of course they need that to trade against their customers. They have all the information about the trading of their customers so it is very easy for them to reverse their trades on another account. There are two main types of Forex brokers. The first type is called Dealing Desk brokers (DD), which are also called Market Makers and Dealers. Market Makers make money through spreads and provide liquidity to their clients. While these types of brokers often display their own quotes, they are legally obliged by national and international regulatory authorities to show the best possible price to their clients. Prices they offer may differ to the actual market prices. Although, Market Makers literally take the other side of a client’s trade to minimize risk (different dealing desk brokers have different risk management policies). The second type of Forex broker is called the Non-Dealing Desk (NDD). NDD brokers do not take the opposite side of their client’s trade. They simply link the trader’s platform to the interbank market and may either charge very minimal commissions for trading or slightly increase the spread, or both. NDD brokers can be Straight Through Processing broker (STP), Electronic Communication Broker (ECN), or a hybrid of STP and ECN (STP+ECN). ECN brokers offer Direct Market Access (DMA) through automated systems to allow their clients’ orders to interact with the orders of other participants in the exchange market. These market participants could be banks, hedge funds, financial institutions, retail traders, and even other brokers. Below you’ll be able to see a chart illustrating these different broker types. Direct Market Access can be True DMA or One-Touch DMA. True DMA uses automated systems to place your trade automatically to the interbank market, while one-Touch DMA requires human intervention for your trade to get placed on the interbank market. Speed of execution could be compromised with One-Touch DMA. However, since some countries do not allow the use of True DMA due to fraud, some brokers are obliged to check every trade before placing it into the exchange market. Small brokerage firms also use One-Touch DMA to make sure they have enough funds to cover the position. 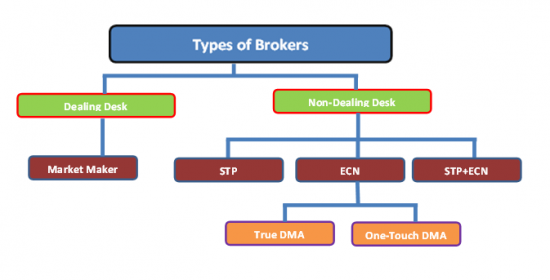 A STP broker is a hybrid model of Market Maker and ECN broker. STP brokers sometimes act as a Market Maker by using liquidity providers such as banks as their clients’ counterparty and do not allow their clients’ orders to interact with the orders of other participants in the exchange market, and other times they place clients’ orders into the exchange market. Most STP brokers generate their revenue by adding the spread to the price that they obtained from the liquidity providers. Now that you understand more about brokerages in general we can take a look at some of the troubles you might run into with them. We as traders, after all, have to fend for our own. Some brokers are out to take advantage of foolish and unknowing traders so we want to not be one of them. Brokerage firms might look great on the outside, but once you get in and make some profit and try to withdraw your funds all the rules might change. Many times, a dishonest broker gains a customer’s trust by being smart and targeting unaware people. Taking advantage of this trust, the broker can encourage their client to trade on margin and set stop loss orders which allows the market makers to close out trades almost at will during strong markets, at prices they have set. If the market maker does not offset the trader’s position, the loss generated when a stop loss is triggered becomes the market maker’s gain. You can see how this is not in the best interest of the trader, but rather only in the interest of the broker. There was a very large lawsuit and federal suit against a particular brokerage in the United States because they actually sued some of their clients. Yes, the broker sued their own clients… and why? Because the clients had earned a profit. The broker accused them of tampering with the price feeds or some other ridiculous accusation. 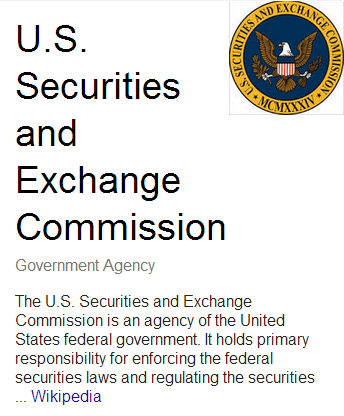 The SEC/CFTC (governing Forex bodies in the US) fined this broker several million dollars in the end for many illegal activities they were engaged in. Customer service and support is incredibly important for any type of business, including a Forex broker. In Forex trading, you want your broker to be able to answer all of your questions and queries. If your broker cannot respond to your messages and problems, move on. Make sure that your chosen broker has a good customer service team – if a broker does not, this will indicate that they are a cheat. If you notice any suspicious activity regarding your investments and your broker cannot (or does not even bother to) explain, then a good suggestion would be to replace him. Guess what happens next. After taking out your stop, the price turns back and heads north, just as you originally thought. This is how your broker makes his money. The solution to this could be to hide your stop loss. It is not guaranteed to help, but at least you will be sure that your broker does not see your stop loss and have a chance to take it out through dishonest means. Bucket shops are fraudulent brokerage firms that “book” a client’s orders but never really execute them on an exchange. They are named such because these brokers put their clients’ phone-in orders in slips then drop them (the slips, not the clients) in a tiny bucket instead of actually executing. Without the real transactions, the client is actually betting against the bucket shop operators also known as bucketeers. This is another dangerous type of broker strategy that is both dishonest and illegal in most countries. The following pointers help you to distinguish swindling brokers from honest ones. These are just some ideas on what to look for in the broker you are selecting. Some of these you will be able to research on your own and some of these are not so easy to identify. Below this list you’ll find three great website resources that can help you continue your search for the best broker for you. The first and foremost distinction of a trustworthy broker from the fraudulent ones is the high level of security. You should not just deposit your trading capital to a broker who simply claims they’re legitimate. You should choose a broker that is registered with a regulatory agency. Below is a list of countries with their corresponding regulatory agencies that checks the credibility of the Forex broker. Forex regulatory agencies provide investors and traders with protection and security from fraud, scam, manipulation and abusive trade practices. Every brokerage firm who conducts business with the public should be registered and a member of the country’s corresponding regulatory agency. To be registered, the broker has to pass the screening done by the regulatory agency and comply with the standards and regulations. In the US, NFA performs the registration process on behalf of the CFTC. The broker must be a member of NFA before registering with the CFTC. If the broker is under-capitalized, your funds are at extreme risk. Because broker accounts are not insured, there is a very little recourse for the individual retail trader if the broker goes bankrupt. Before opening and funding your live account, verify the prospective broker’s financial health. You have to study the company in general terms: look at how long they have been in business, what their online reviews are like, and most importantly, look at their assets in the country. This is not the easiest thing to do, however, and once again you are back to reading online reviews and researching whatever info you can find online. Regulatory authorities assure the broker’s economic strength and integrity towards retail traders. However, not all countries have the same regulatory policies and requirements when it comes to financial registration. Smaller Forex brokers can be hard to assess and there are no very strict regulations for Forex brokers in other countries and capital requirements are not closely monitored. Brokers in major economies such US, UK, Australia and Europe have more mature system set to regulate financial companies. And even this, however, is not enough to stop some brokers from acting dishonestly. There was a broker in the United States that broke many laws and was fined several million dollars for these practices. Many traders were burned to never see their money again, even though the company was caught. It is hard for us as traders to know what is going on underneath a company’s shell. Therefore, it is very important for any trader or investor to choose a Forex broker that based in a country where their activities are closely monitored by a regulatory agency. Traders must have a clear understanding of the regulatory body that governs their broker’s activity and be aware of their broker’s regulatory status. The U.S. has the strictest regulation and tightest industry standards for Forex brokerage firms. Next are U.K, Australia and Hong Kong. The NFA, CFTC, and FCA contain a list of assets a brokerage firm has, and the minimum requirements each firm has to comply. If your broker is located with any of the counties mentioned above and being regulated by their respective regulatory authorities, and strives to exceed the minimum regulation requirements that the NFA, CFTC, and FCA have set, then you’re trading with a credible and honest broker. The MetaTrader trading platform is commonly used by most forex brokers, which has hundreds of custom-made indicators and templates for every trading strategy. Other brokers have more powerful custom trading platforms. Depending on the trader’s trading hardware and software characteristics, one might prefer a web-based trading platform rather than a desktop application platform such as the MT4 and MT5. The trading platform that suits you best is critical. The reliability should be more of a concern than how the platform looks and feels. The platform should not crash or freeze during important economic news or events. Placing and closing an order should be done immediately with just one or two mouse clicks. One-click management of open trades and stop-loss, limit and other types of orders are other criteria that a trader may take into consideration. The overall navigation of the trading platform must be user-friendly. If there are additional charting tools, they should be very easy to access and apply. A broker must comply with the minimum capitalization level required by the regulatory authority. Capitalization is indicative of the company size and has a direct relationship to the broker’s ability to stay solvent. If the broker does not publish its working capital, it’s a warning sign that could mean a lack of solvency. As of 2010, the CFTC set the minimum capitalization required for US-based forex firms at 20 Million USD. The tightening of minimum capitalization in the US drove out Forex brokers that were too weak to acquire additional working capital. Brokers that are unable to comply moved their U.S. operations to other countries with loose regulations, or were acquired by larger firms. The Australian Securities and Investments Commission (ASIC) had also tightened the minimum amount of capitalization requirement from 50,000 AUD to 500,000 AUD. Switzerland has set the minimum to 20 Million Swiss Francs. And Cyprus needs a broker to have a minimum capital of 1 Million USD. It’s not a surprise that more brokerage firms have moved to Australia and less-regulated countries like Cyprus. The better capitalized a broker, the more credible relationship it can establish with their liquidity providers. This simply means they can acquire more competitive pricing from the interbank market for their firm as well as for their clients. Understanding how your broker conducts business according to the model they use is very important. There are currently a few different types of broker companies to trade with. Dealing desk and Non-dealing desk brokers conduct business oppositely, but no type of broker is better than the other because it all depends on your trading strategy and the type of trader you are. It’s up to you to choose whether you would rather have wider spreads and no commissions per trade, or tighter spreads but pay commissions. Generally, scalpers and day traders prefer tighter spreads because the market needs less ground to cover the transaction costs. Position traders and longer term swing traders prefer to have wider spreads and pay no commissions since spreads tend to be insignificant over a longer period of time. Customer service and support is incredibly important for any type of business, and Forex brokers are not exempted. Brokers are not perfect, and you should choose a broker that could easily be contacted when problems occur and who responds quickly to your needs. As you probably know, the Forex market is open 24-hours a day, so ideally, your broker should offer client support at any time. Live chat and phone support is the best medium to contact the help desk rather than email. Even though your broker’s website may have already explained things clearly, representatives should be knowledgeable and able to answer all of your questions in a timely manner. While trading, you may experience technical problems regarding your platform, trade orders, and other broker-related concerns. You may have just opened a big position and then your internet went down. You may need to resolve this quickly by calling to your broker for help. The way they respond to your concerns can be a key in gauging the credibility of your broker. Brokers may be kind and accommodating during the process of opening your live account, but have very poor ‘after sales’ support. If this it the case for you then you may want to research another broker. The Forex market has many unique features that many brokers use to entice traders to open a live account with them. Some promise no regulatory fees and exchange fees, others present no data fees, and most common to all, no commissions. However, no matter what type of Forex trader you are, you are always subjected to transaction cost. Every time you enter a trade, you are always required to pay for either the price spread or a commission. Some brokers just charge the spread, others charge commissions per transaction made, while other brokers charge you both. Brokers who don’t charge separate commissions make money through the spread. The lower the spread, the greater the hypothetical profit a trader can make. Different brokers charge different number of spread pips. However, paying a 10 pip spread on major currency pairs is a sign that there is something odd with the broker. Most brokers present the lowest spread they can offer because traders have a higher chance of profiting with lower spreads. You may choose the broker with the most affordable and cheapest spread. However, you have to balance broker reliability and low transaction costs. Choosing the broker with the lowest spread is important, but it should not override the most important factors in choosing a broker. A competitive spread is useless if the other factors are poor. With the variable spread, the spread may be as low as 0 pips or as high as 3 pips on most major currency pairs. Spread also varies depending on the financial instrument that you trade and volatility of the market. Most brokers charge a 2-pip spread in a less volatile market. However, if the volatility increases, the spread may also increase, which means higher transaction cost for variable spread accounts. Also, spreads between different currency pairs may change as the liquidity level of that certain currency pair changes. Contrary to Variable Spread, you know exactly how much spread you’re charge in every trade you open with a Fixed Spread account. Knowing how much spread your broker charges is very important because entering a position at your desired price does not guarantee that you’ll get that price. The price you’ll get is the price when the brokerage receives your order plus the spread. Every time you enter a trade, you will always start with a negative profit even if the price moved in the positive direction. The price has to change enough in order to cover the trading cost, the spread. Some forex brokers will publish their spreads live on their website. Here is an example from one broker called FinFX. Make sure to research with a demo account the difference in spreads between an ECN account (like the spreads show here) and a standard account . If you are going to be trading with a standard account, the spreads will be larger. Most brokers who offer the least spread charge the transaction cost on every executed trade through commissions. Commissions are either fixed or variable. As the name implies, a fixed commission charges the same transaction cost regardless of the trade volume and size. For example, your broker might charge you with $0.25 for each executed trade. A variable commission is most common for brokers. Transaction cost is calculated based on the trade volume and size that you executed. Generally, the cost is calculated from a fixed dollar value per million. For example, your broker might charge you a fee of $10 per $1,000,000 of a currency transaction that you bought or sold. Trades held overnight are subjected to overnight rollover or interest fees. Every currency pair that you trade has its own overnight interest rate. Overnight interest rates are determined at the Interbank level, not by the broker, and it varies between 1.5 % and 6%. This trading cost is calculated based on the leverage, which means the higher the leverage a trader uses, the higher the overnight financing cost. Rollover fees on currency pairs depend on the difference between the interest rates of the two countries whose currencies are paired. For example, if the trader opened a long position on the GBP/USD, the rollover fee would be the difference between the interest rates of UK and US. If UK’s interest rate is 5% and US is 3.5%, the trader would receive a payment of 1.5% on his buy position because he was buying the currency from a country with higher interest rate. If he was shorting the pair, then he would be charged with 1.5% of his position. Some brokers apply inactivity fees if you do not make any transactions within a set period of time. There are some brokers that require a minimum amount of trading activity that must be met each month, quarter, of a year. A very volatile market condition and lack of liquidity can force a broker to apply a slippage on the currency price. This occurs when a position is executed away from the average spread. This usually happens during major new releases because of increased market volatility. Some brokers protect their clients from slippage by effectively handling news releases, others do not. Fixed spreads may protect you from this unwanted cost. Although fixed spreads are slightly higher than the average spread, your trades will be filled at the desired price even if the market volatility increases. There are certain brokers that cheat their clients by manipulating the bid and ask spread. Typical spreads of major currency pairs among regulated brokers on normal market conditions ranges from 1 – 3 pips, but may reach as high as 6 pips during highly volatile market. Scammers would have spreads around 4 to 8 pips on major currency pairs on normal market conditions, and may reach as high as 10 pips or more during high volatility. Spreads will increase naturally during high-impact news events, and especially when market volume is low (end of day trading times for example). Another way that fraudulent brokers cheat their clients is through stop hunting. Brokers know where their clients place their stops. Sometimes, dishonest brokers make a run for those stops, closing out their clients’ position. Others may even close their client’s position at the client’s stop loss price even if the market did not hit that price. Suppose you opened a long position at 1.2340 and you set a 20-pip stop loss at 1.2320, which was 10 pips below an obvious double bottom. Unfortunately, the trade initially went against you and almost hit your stop loss price. However, your position was closed, but the market did not even touch your exact stop loss price 1.2320. Then the market begins to take off to your desired direction. There are still brokers that claim to be regulated but practice spread manipulation and stop hunting, especially during times of high volatility. It’s very important to verify the membership status of your broker to the corresponding regulatory agency as well as read reviews from real traders that have been with the broker. The speed at which your orders get filled is very important and it is mandatory that brokers should fill orders with the best possible price. Under normal market conditions (no important news releases or surprise events, normal liquidity, and normal volatility) and given that you have a stable and fast internet connection, there is no reason that your broker should not fill your orders with the bid price (offered price plus the spread) that you see as you click the “buy” or “sell” button. Your orders should be executed at that price, or within micro-pips of the price. Reputable Forex brokers offer a hassle-free method to deposit funds and withdraw earnings. Whatever methods they use, brokers have no reason to deny withdrawal of your funds and profits because they only hold your funds to facilitate trading. Note: the amount of paperwork required by brokers has increased much in recent years to protect against money laundering and other illegal practices. Some brokers will require more paperwork than others, depending especially on the country they are in. Almost all brokers offer two or more account types, which depends on the size of lots traded. The most common type of accounts are micro-accounts, mini-accounts, and standard accounts. The micro and mini-account allows you to trade with a very low minimum initial capital, while the standard account requires a higher minimum capital. Minimum capital for each account type varies from one broker to another. New forex traders tend to choose brokers with higher leverages. Although higher leverage can lead to bigger profits, it also magnifies your losses in exactly the same way as your gains. A relatively small movement against your position can result to an immediate and large loss which can be greater than your initial investment capital. Traders who get attracted by high leverage end up benefiting the broker and harming themselves. If the market moves against your position, margin levels are increased and you may be called upon to deposit additional funds into your account to maintain your position. If you failed to comply with your broker’s request within the prescribed time, your broker may close out your position and you may be liable to pay any further losses. You should be knowledgeable about you broker’s margin call policy. Some brokers follow the First In First Out (FIFO) method to close out trades when the margin requirements are not met within the prescribed time. Others follow the Last In First Out (LIFO) procedure, and some brokers simply close all the trades. The final aspect in choosing a forex broker is reputation. Only a few brokers have well deserved reputations and are loved by their clients, while some brokers are despised by many. No broker is 100% perfect, but how they handle certain market conditions helps establish their reputation. Disreputable brokers often use high spreads and slippage to prevent huge losses. Others cancel the trade if it turns against the broker. Sometimes, brokers even boycott the traders and try to boycott them completely. This usually happens when a trader is receiving a significant profit. The moment your profit history becomes consistent, dishonest brokers do whatever they can do to stop you from gaining more profits through them. But do not just stop with this one site. Research and read all that you can about all the brokers you researching. Try to find out the truth about them and when you do select a broker make sure you start with a small deposit at first. You may even try to withdraw profits on the account first before deciding to keep more money with them. A broker will always be tested at the point of withdrawing profits. How can we choose the right broker to trade with? Contrary to the beliefs of most losing traders, Forex brokers are not designed to make retail traders lose money. Forex brokers want to do business with you, and not to lose your trading business. Brokers want their clients to keep trading with them so that the broker earns money on every clients’ transactions. If you lose all your money in trading, they too will lose clients. But then again, this is not true of all brokers. Although most brokers that are regulated by financial authorities conduct business ethically, some brokers (usually unregulated) only wants your money rather than seeing you succeed in the trading business. As a general rule, a broker will only help you when your interests are aligned with theirs. A broker who contacts you many times in order to convince you to deposit money or open an account with them, is a sign that the broker only wants your money, not to help you succeed in your trading career. When choosing a broker, ease in deposit/withdrawal, leverage, spreads, and clever software technologies are not important considerations since they are most likely used for marketing purposes. A good spread and leverage, ease in deposit/withdrawal, and unique trading software technologies are useless if the other important factors are poor. The best criteria are the size of the company (financial stability), speed of their platform and as well as their credibility and honesty. Also, security of your funds and as well as the assurance that you are in good hands are the most important considerations. 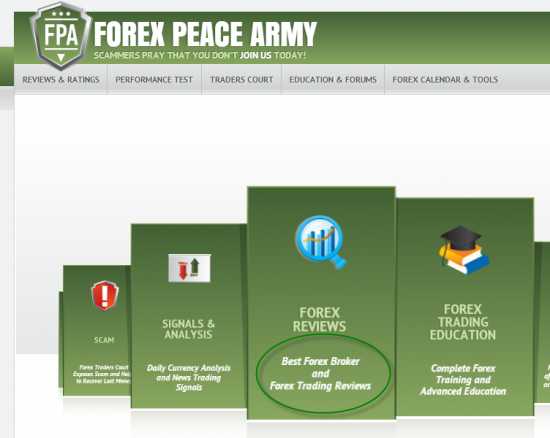 One of the best places to start when looking for a good broker is a review site like ForexPeaceArmy.com. They have some great reviews here on this site from traders just like you. Use ForexPeaceArmy.com to read reviews on the brokers that you are researching. www.xe.com/currencytrading/questions.php – The 15 questions at the end of this page are pure gold and are worth asking your potential brokers. You can find some of the answers online with their websites but otherwise you can get on with their live support or call them on the phone to ask these questions. Make sure that you get solid answers, not just wishy-washy ones. And this one really looks very useful. Broker Comparison Guide should really help you with your decision when choosing a broker. Trading directly with the exchange market and avoiding the intervention of the Forex broker on the trading process is nearly impossible for retail traders. Brokers act as mediator between the interbank market and retail market, in return for a commission. Non-dealing desk brokers put orders directly into the exchange market, while dealing desk brokers take the other side of the client’s trade. These two major categories of brokers conduct business oppositely, but no type of broker is better than the other because it all depend on your trading strategy and type of trader you are. Trading with the right broker is very critical to trading success. Many brokers help their clients succeed, while some brokers are setup to make traders fail. The choice of broker you make will influence your ability to make profits month by month. Make sure that you trade with the broker that you prefer the most. Giving your time and effort into investigating the factors outlined above can save you from much heartache and grief. No broker is perfect for every trader, but by considering the key factors on choosing the right broker, the chances of your trading success can increase substantially. Do you have a good broker? Share it here if you think that others would benefit from it. Likewise, if you’ve had a truly terrible experience, go ahead and share it here to warn others. We don’t need to badmouth and brokers here, but if you have any words of wisdom, please share them so that we all can learn. As usual, very comprehensive and educational article that every new trader should read. Having been trading for quite a few years now, I have seen some very suspicious activities with various brokers, including some of the better known ones. They do seem to have got their act together now and govt’s are regulating them a lot tighter these days. I do feel sorry for my US trading buddies though as their govt treats them all like little kids, with all their restrictions in place. One thing I would suggest, is don’t put all your funds with one broker. Just too risky for my liking. For example, if you $60K to trade with, open three different accounts with $20K in each and then use the LTC to assist with your trading. Stick with the more popular better known brokers that have been around for a few years also. Not sure about your overnight rollover interest calculation, as I always seem to get charged more than I earn when trading the same pair in opposite directions with the same position size. I think it is a money spinner for brokers. Thanks for the article Rimantas. Jim, I am glad you like it. Definitely U.S. has very bug restrictions for brokers. That’s why many of my U.S. traders go to brokers in Europe such as FinFX or Sensus Capital. One one of my main issues with FOREX brokers is with overnight interest rates. There is not enough transparence in their calculation. Moreover, you end up paying higher interest to hold a spot pair overnight than an equivalent futures contract. That’s weird and expensive! Overall, I prefer futures to spot rates. Robert, glad you like this information. Interest rates can be mysterious for sure. I agree with you. Brokers play all sorts of tricks. Here’s another. If you are getting close to a margin call they will delay processing your deposit to cover the call. This is a nasty trick, I experienced it before my own eyes. They waited for my margin call and stop out, then appx 3-4 seconds later my funds went in. Needless to say I no longer trade this way. I also used to be quite common for brokers to change your leverage during high volutiliy to cause margin calls. Do you ever whatch the market moved against you immediately after placing your trade? Meanwhile all other pricing does not make the same move. Hmmmm. I actually experienced a broker switch off my trading option so I couldn’t close my trades while the market moved against me, this happened over about a six hour period, I phoned them they wouldn’t answer, I emailed and no answer. These were silver trades approx 9 lots, so it wasn’t a micro position. Anyway I took screen shots and evidence, took them to Finance Ombudsman and ASIC and got my money back. Another closed my oil positions when I was too profitable and said I couldn’t trade with them any more. So many tricks, but I still trade. I think I enjoy catching these guys out. That is a great snippet of news about broker tricks.. Can you let us know which Broker tricked you which allowed you to get ASIC to help as I have also been relieved of all my funds by a broker in AU and would be interested in knowing who did this to you? Although it would be easy for me to name the 2 brokers who tried to scam me, it would serve no purpose in helping you in your situation, indeed you could even be involved in broking yourself and looking to getting your own back on me for naming fraudulent services. If you have actually encountered a problem with a broker which you think is carrying out fraudulent practices, you need evidence by way of screen shots and statements and any other hard copy details which clearly show corrupt activity. Your evidence must in most cases condradict the brokers P.D.S. and documents provided by them. If you can’t provide conclusive evidence, the Finace Ombudsman Service or ASIC will not take on your case. Hearsay (verbal comment) is not evidence. They usually take 30 days to assign you a case officer, it is not a fast process, but if you have been done wrong like I had, you stad firm and follow through providing logical honest replies to all their answers with evidence. When you do make a complaint it gets recorded against the broker, so they want to settle as well. Usually as soon as a case officer gets involved, the broker will want to discuss the matter with you and settle without 3rd party involvement . From my experience today it’s more difficult to catch out brokers now, as their corruption isn’t as obvious. I was fortunate in one case to have the details directly on the screen in front of me. I took screen shots showing trading disabled on one chart but activ on others, showing all my open positions on the chart and showing live activity taking place, then backed up with time captured statements. I even took a copy of their P.D.S. at that point in time, as they can change and update this at any stage to show they are allowed to scam you how they did. As a general rule Australian businesses an companies ar quite honest on a global scale, but given tough economic times they will explore and push their boundaries, and given that FX is largely unregulated, their limits are quite open, which leaves you with ‘sign up’ documents and ASIC and F.O.S. Conway, thank you for this invaluable information. Garry, hope this will help you! Here is a snippet from one PDS, which are even more full of catches to clear the broker of any wrong doing while ripping you off. TF Global may at an time without Notice to the Client suspend, withdraw or deny access to the Online Platform for any reason including but not limited to security, quality of service, failure by Client to pay and amount when due or breach by the Client of any provision of this Agreement. Note: ‘Any Reason’ which is the ‘tool’ used for corruption, while the focus of the statement is on ‘security. ‘Any Reason’ will also include profit. PDS are full of these and I could talk about them all day. Wonderful addition. Thank you, Conway. Very good article. Well done. I am ashamed to say that I was scammed out of around 25,000 UK Pounds by Netotrade. I had deposited funds in a new account and had started to talk with the account manager Alan Levine. I was in the process of moving from the UK to China and couldn’t monitor the account for three days. During that time the ‘manager’ put a Buy trade on Gold just at the time that it was going down plus two other Forex Pairs and the FTSE. By the time that I logged on in China I had most of my account wiped out. I tried to save it but couldn’t. A few days later I logged on to $00.00. Wiped out. I will never forget that. I reported it to the police, but nothing has happened so far. Leaves a bad taste in your mouth. John, that is quite a story. I never though that this could happen when an account manager working for the broker is trading your account. Thanks for sharing and hope your future investments will be ma success. I have a story. Recently was trading with MT4 app on my iPhone. My strategy was to stick to one currency pair the eurusd. About 2 months into trading I opened some positions in other currency pairs, following this, the MT4 app displayed the negative value of trades as a positive in the free margin. 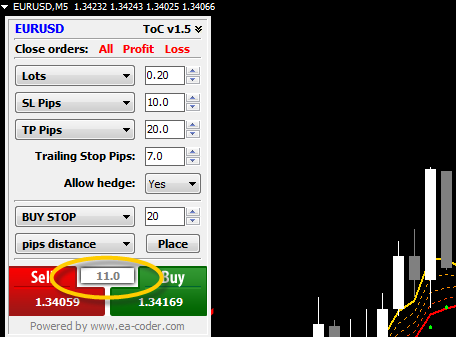 This malfunction was only on the app and did not appear on the desktop MT4. I contacted meta quotes & they asked me for screen shots but I had not taken any. In all the confusion I would have lost about 10 grand. I think there is a problem with the trade screen, when I log in to the trade screen it is blank, & then as the + sign emerge in the top right corner & the numbers from all your trades appear it still displays the negative amount as a positive in the free margin. I have now abandoned the account & changed brokers. The broker is Tallinex but because the malfunction was only on my app it would seem meta quotes are responsible. Great article, & I enjoyed reading all the posts. great story. Thanks for sharing. It sure sounds like a MT4 malfunction. Sorry to hear you had such a big financial loss. It’s a shame these things can happen, but it’s the reality as we see. Subject matter of this web page is usually great and also appreciative. I have personally witnessed brokers trading against clients by using order delays. I have also seen brokers delay withdrawal requests past 1 business day. This business is quite something. Thanks for the article. Very good info. I am using an indicator that shows me what the spreads are and tonight, I will not consider trading period, because all the spreads are a complete rip off, and they keep changing by the minute. 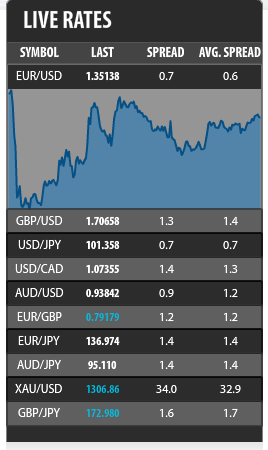 I took a screenshot of a 12 chart workspace that I have on my trading platform and it shows the GBPJPY with a 4.7 pip spread; the EURCHF had a 3.7 pip spread when I took the screenshot. The GBPUSD had a 2.9 spread. The USDCHF had a 2.4 pip spread. The AUDCAD had a 2.3 pip spread. And I could go on and on. It was hard to find any pair that had a spread of 0.7 or below tonight. Forget the deceptive crookedness in Forex, I’m sticking with the futures markets.